Adverse events triggered by non-steroidal anti-inflammatory drugs (NSAIDs) are among the most common drug-related intolerance reactions in medicine; they are possibly related to inhibition of cyclooxygenase-1. Coxibs, preferentially inhibiting cyclooxygenase-2, may therefore represent safe alternatives in patients with NSAID intolerance. We reviewed the literature in a systematic and structured manner to identify and evaluate studies on the tolerance of coxibs in patients with NSAID intolerance. We searched MEDLINE (1966–2006), the COCHRANE LIBRARY (4th Issue 2006) and EMBASE (1966–2006) up to December 9, 2006, and analysed all publications included using a predefined evaluation sheet. Symptoms and severity of adverse events to coxibs were analysed based on all articles comprising such information. Subsequently, the probability for adverse events triggered by coxibs was determined on analyses of double-blind prospective trials only. Among 3,304 patients with NSAID intolerance, 119 adverse events occurred under coxib medication. All adverse events, except two, have been allergic/urticarial in nature; none was lethal, but two were graded as life-threatening (grade 4). The two non-allergic adverse events were described as a grade 1 upper respiratory tract haemorrhage, and a grade 1 gastrointestinal symptom, respectively. In 13 double-blind prospective studies comprising a total of 591 patients with NSAID intolerance, only 13 adverse reactions to coxib provocations were observed. The triggering coxibs were rofecoxib (2/286), celecoxib (6/208), etoricoxib (4/56), and valdecoxib (1/41). This review documents the good tolerability of coxibs in patients with NSAID intolerance, for whom access to this class of drugs for short-term treatment of pain and inflammation is advantageous. Non-steroidal anti-inflammatory drugs (NSAIDs) are the most commonly used therapeutics in the outpatient management of pain and inflammation in a wide spectrum of diseases. Their primary mode of action is the blockade of prostaglandin synthesis by cyclooxygenases (COX): Constitutively expressed COX-1 is involved in fundamental mechanisms of homeostasis, whereas the inducible COX-2 mediates inflammation. Therapeutic effects of NSAIDs are primarily related to their ability to inhibit COX-2, whereas some of their most frequent adverse effects may be caused by COX-1 inhibition (Fig. 1). In contrast to most “classic” NSAIDs which block both isoforms, the so-called coxibs preferentially inhibit COX-2. This may result in better tolerability, namely reduction of gastrointestinal side effects [29, 85]. Respiratory and cutaneous adverse events triggered by NSAIDs are among the most common drug-related intolerance reactions in medicine. Typically, these manifest as asthma attacks or urticaria. Pathogenesis of these symptoms seems to be related to COX-1 inhibition . Therefore, the hypothesis was put forward that coxibs may safely be used in patients with known NSAID intolerance. However, serious intolerance reactions to coxibs have also been observed, thus cautioning too euphoric expectations . We therefore reviewed the relevant literature in a systematic and structured approach for evidence of coxib tolerance in patients with NSAID intolerance. We searched MEDLINE (1966–2006), the COCHRANE LIBRARY (4th Issue 2006) and EMBASE (1966–2006) up to December 9, 2006. The following search terms were used: rofecoxib OR celecoxib OR valdecoxib OR parecoxib OR etoricoxib, combined with hypersensitivity OR intolerance. Those coxibs used in veterinary medicine (deracoxib, tiracoxib and cimicoxib) were not included in the literature search. No language or publication restriction was predefined. All publications reporting individual patients with NSAID intolerance and subsequent exposure to a COX-2 Inhibitor were identified and the reference lists of these articles were hand-searched for further publications. If articles could not be retrieved in full text, a copy was requested from the corresponding author and/or journal editor. Each publication was appraised for inclusion in a stepwise approach (Fig. 2). Only publications describing individual patients and providing a rational medication scheme as well as a sufficiently specific outcome report were included in this review. In a first step, evaluation focused on clinical symptoms and severity of adverse events in patients with NSAID intolerance. Therefore, all articles on this topic were included for this analysis. Subsequently, the probability for adverse events was analysed based exclusively on publications of double-blind prospective trials. All articles were analysed using a predefined evaluation sheet. Uncertainties were resolved by consensus decisions among the investigators. Data synthesis was qualitative and descriptive. The Common Terminology Criteria for Adverse Events version 3.0 (CTCAE) was used to categorize adverse events. We identified 230 publications on coxibs and/or NSAID intolerance. Hundred and forty-six references not focusing on individual patients with NSAID intolerance were excluded. Unclear medication schemes or outcome reports led to exclusion of two articles. Eighty-four publications were evaluated for severity and type of adverse reactions to coxibs. Thirteen publications on double-blind studies were used to determine the probability of adverse reactions to coxibs. A total of 119 adverse events among 3,304 patients exposed to coxibs were identified [1, 2, 3, 4, 5, 6, 7, 8, 9, 10, 11, 12, 13, 14, 15, 16, 17, 18, 20, 21, 22, 23, 24, 26, 27, 28, 30, 31, 32, 33, 34, 35, 37, 38, 39, 40, 41, 42, 43, 44, 45, 46, 47, 48, 49, 50, 51, 52, 53, 54, 55, 56, 57, 58, 60, 61, 62, 63, 64, 65, 66, 67, 68, 69, 70, 71, 72, 73, 74, 75, 77, 78, 79, 80, 81, 82, 83, 84, 86, 87, 88, 89]. Adverse events were described for rofecoxib (48/1,732), celecoxib (59/1,148), etoricoxib (10/328), and valdecoxib (2/69), but not parecoxib (0/27) (Table 1). All adverse events, except two, have been allergic/urticarial in nature, and none was lethal. One adverse event after administration of rofecoxib and one after celecoxib were reported as life-threatening (grade 4). The two non-allergic adverse events were described as a grade 1 upper respiratory tract haemorrhage, namely blood in nasal discharge after provocation with rofecoxib, and a grade 1 gastrointestinal symptom, namely nausea and abdominal pain. We identified 13 double-blind studies evaluating tolerability of coxibs in a total of 591 NSAID intolerant patients (Table 2). The coxibs tested in the context of these studies were rofecoxib (n = 286), celecoxib (n = 208), etoricoxib (n = 56) and valdecoxib (n = 41). Among the 591 patients described, 13 exhibited adverse reactions upon provocation with a coxib. The triggering coxibs were rofecoxib (2/286), celecoxib (6/208), etoricoxib (4/56), and valdecoxib (1/41) [13, 28, 48, 60, 69, 74, 75, 77, 78, 83, 84, 87, 88]. One of these reactions was clearly non-allergic, this one being the above-mentioned individual with grade 1 upper respiratory tract haemorrhage. Clinical examinations and forced expiratory volume hourly for 8 h.
Clinical observation every 30 min for 8 h and finally after 24 h.
Clinical control for at least 6 h after each challenge and the next day. Spirometry and vital signs at 15- to 30-min intervals after each dose. Vital signs and forced expiratory volume every 15 min for 6 h.
Clinical examinations and forced expiratory volume hourly. 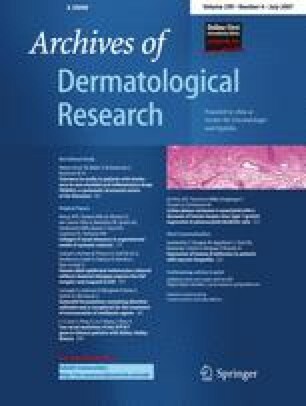 This systematic review documents the low probability of allergic/pseudo-allergic reactions induced by coxibs in patients with NSAID intolerance. To our knowledge, this is the first comprehensive analysis of data published on this topic. We have searched all three major medical databases available, namely MEDLINE, COCHRANE LIBRARY, and EMBASE using very broad and general search terms. Following identification of relevant publications, these were evaluated by means of a pre-defined evaluation form. The data available are described in the form of a structured review . NSAIDs are among the most commonly prescribed therapeutics in the world. Although generally considered safe, their wide and frequent use results in these drugs being among the most common causes of drug-related intolerance reactions. This may at least in part be due to their non-selective inhibition of both cyclooxygenase isoforms. In line with this hypothesis, NSAIDs characterized by pronounced COX-1 inhibition bear a high risk to trigger asthma attacks in patients with aspirin-sensitive asthma bronchiale, whereas preferentially COX-2 inhibiting NSAIDS are better tolerated by these patients . Our analysis of published studies on this issue further supports this notion, as only 13 of 591 NSAID-intolerant patients showed adverse reactions upon provocation with coxibs in double-blind clinical studies; all of these were grade 3 or milder. Still, relatively selective COX-2 inhibitors have been identified as triggers of serious intolerance reactions . This implies that our current understanding of NSAID-triggered intolerance is still imperfect, and its pathogenesis cannot be reduced to cyclooxygenase-mediated effects alone, but needs to take into account clinically relevant additional NSAID-mediated effects such as secretion of leukotrienes from mast cells and other leukocytes. It has been suggested that coxibs may confer an elevated risk for acute myocardial infarction and sudden cardiac death, namely after long-term therapy . As a reaction, several coxibs are no longer available despite a recommendation by the participants of an expert meeting organized by the Food and Drug Administration to grant further prescription of rofecoxib, celecoxib and valdecoxib in the US . On the other hand, substantial evidence described here points towards a good tolerability of coxibs in patients with NSAID intolerance. Given the wide use of NSAIDs in the short-term treatment of trivial signs and symptoms, the availability of coxibs for these indications would be advantageous for this relevant subpopulation of patients, since this type of application is unlikely to increase cardiac risk.